If I were asked what art form I favour I expect my instinctive response would be music. It is not clear to me why this is so. I am drawn to music as to a long time friend – born of an unconscious love and loyalty. Those who love music note how it “speaks” to them – a communication reaching deep into the human soul. You may also hear them acknowledge the power of music to transform the listener. 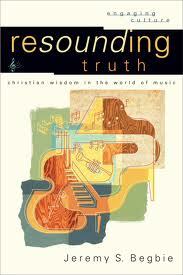 He affirms music as “the most spiritual of the arts”. Perhaps a debatable point but music’s intangible quality cannot be denied. In what follows I will touch briefly on three themes that may give music its drawing power. It is common to connect music with emotion. Think of how music can impact your feelings while viewing a film, or how one can be moved by the strains of a familiar tune. What is evident here is music’s value not just for the individual but for community. A second drawing power of music is its nature as play. Most of what we do or what we are expected to do is a means to an end. We are constantly concerned about outcomes and consequences. In fact this is how we choose to value things. The tiring treadmill of productivity makes opportunities for play appealing. Play is not a means to enjoyment it is the enjoyment, it is the very thing enjoyed. So says philosopher Roger Scruton. Play is the place where we most feel at home with ourselves, a place of safety sheltered from the anxieties of the world. In a world where the pragmatic seems so dominant it is refreshing to think about the value of the non-practical. Scruton tells us we need to distinguish between function and purpose. It is said that one function of play is that it is a safe way to explore the world but that is not its purpose. If the function becomes its purpose – then it is no longer play. To put this differently play has an intrinsic value and does not depend on some outcome to make it valuable. Play is its own purpose. The argument is that the same is true of music. It would seem that all art enables us to experience some momentary suspension of ordinary time (which happens in play) where we are nurtured by aesthetic sensibility inspired by sound, image, word or movement. Finally the “power” of music – and I am thinking here of a spiritual power – a power deeply connected to what it means to be human. There is mystery in this idea so it is perhaps best expressed in story. The story tells of the friendship between a Palestinian academic and an Israeli musician. Edward Said taught Comparative Literature at Columbia University and Daniel Barenboim pianist and conductor – is one of the most accomplished musicians in the world. They had a chance meeting in the lobby of a London hotel in 1993. There began a deep friendship that lasted until Said’s death in 2003. In his book Music at the Limits – Said tells this story under the title Bonding Across Cultural Boundaries. On one occasion Barenboim was playing a recital in Jerusalem while Said was making a BBC film on Palestinian life on the West Bank. 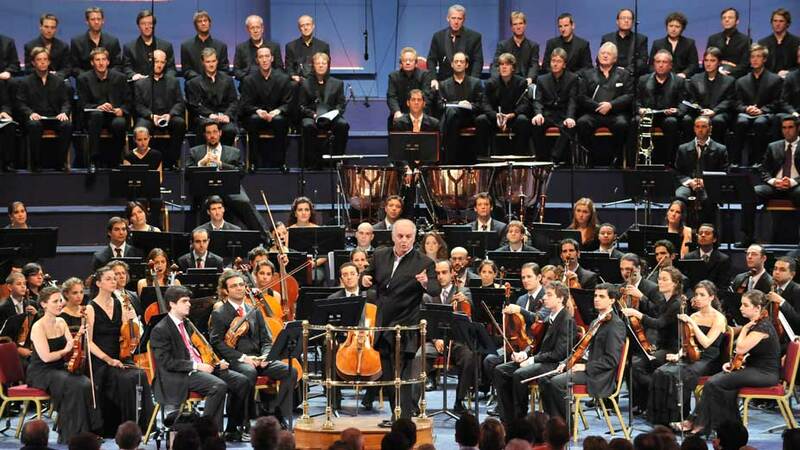 Within a year Barenboim was invited by the President of Birzeit University to give a recital. This was the first ever recital at the University and the first by an Israeli in Palestine. A second and ongoing story comes out of this relationship. In August 1999 Barenboim, Said and cellist Yo-Yo Ma convened a carefully selected group of seventy-eight Arab and Israeli musicians aged eighteen to twenty-five.This led to the forming of the West – Eastern Divan Orchestra which travels the world making music with its mix of Palestinian and Israeli members from many countries. The social, cultural and religious differences are somehow transcended in the commitment to creating music together. In this they express and exemplify a unity that seems so elusive and even impossible in the ordinary political oppositions between these two cultures. I don’t mean to suggest by these stories that music – or indeed art – is a cure-all for our deep differences. We will not be redeemed by art. But it does seem that art – music in this case – has the power to enable us to “bond across cultural boundaries”. I think this is so because it speaks out of and to the mystery of our humanity.” Proust calls the work of art the child of silence. If this is true and it seems to be, we may ask from what silence is it born. It may be the silence of cultural conflict, of passing time, of fear, or joy or hope or perhaps the silence of divine presence. What is evident is the power of music to inspire, to inform and to bring transformation in ways we may not have expected.